First it was the Central Post Office, and now the Central Bank of Iraq; Ain Al-Zulal, our esteemed FingerTec distributor in Iraq, always manages to seize the right opportunities for implementing FingerTec’s time attendance and access control solutions. market-based financial system in the country, the bank was, at the time, looking out for the best way to automate the staff attendance information while having to spend only little time and effort in compiling reports at the end of the month. 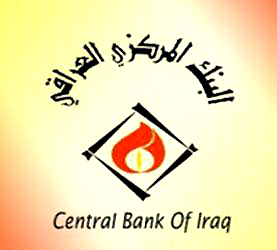 The Central Bank of Iraq was established as Iraq's independent central bank in the year of 2004. With the primary objective of the bank being to ensure the domestic price stability and foster a competitive market-based financial system in the country, the bank was, at the time, looking out for the best way to automate the staff attendance information while having to spend only little time and effort in compiling reports at the end of the month. i-Kiosk 100 Plus. The current management of the bank then inspected and tested this device, and decided to go ahead with installing more units, as the terminal was user-friendly, effective, plus it had access control functions which can be implemented in the bank. Now, the Central Bank of Iraq is equipped with another lot of i-Kiosk 100 Plus devices, with at least 1 device on each floor, and one unit installed outside of the bank for verification of guards and other employees who are constantly on the go. As a result, the staff takes a shorter time to verify their attendance, which reduces congestion during the start and end of working hours. Training was conducted for those who will be using the system, and more importantly for those who will be administrating and overseeing the system, to teach them how to perform the basic functions, generate and analyze reports, and conduct a few troubleshooting steps. Ain Al-Zulal is proud to announce the addition of this installation to their customer list, as they hope to secure more projects based on this trusted reference.